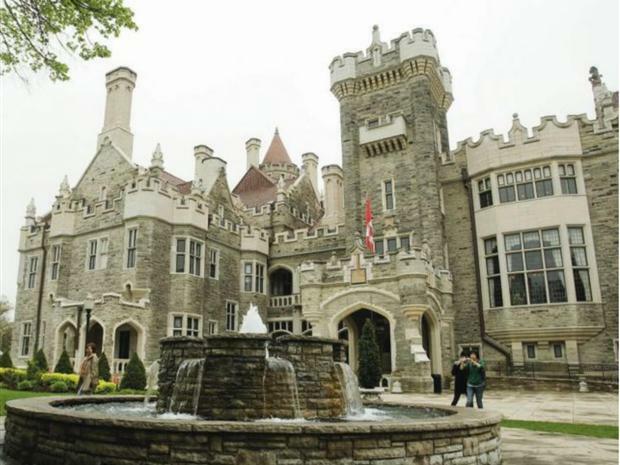 The City of Toronto assumed control of Casa Loma on Tuesday, the inner-city castle that has been run for the last 74 years by a Kiwanis Club chapter, and embarked on a study of future options, which could include putting it on the market. “I think Casa Loma is something that we eventually have to sell,” Mayor Rob Ford told reporters on Tuesday, after council passed a mutually agreedupon transfer of management to a city corporation without debate. Toronto Mayor Rob Ford wants to put Casa Loma, the city-owned mansion, on the block. “Casa Loma is something that I think eventually we have to sell. That’s the bottom line,” he said Tuesday. It is difficult to put a price on this historical fixer upper, but could the city find a willing buyer for the prestige property? Here’s a look at what perspective buyers would get. Selling tourists on Toronto’s rich history: Remember the poached skate-wing craze? The City of Toronto has agreed in principle to take back control of Casa Loma, the historic castle the Kiwanis Club has operated for almost three-quarters of a century. The city, which owns the castle, has left its operation to the Kiwanis since 1937. The city will create a new corporation to oversee the operation of the site temporarily before it is turned over to a third party. Under the current plan, five city staff but no councillors will sit on the corporation’s board. After three-quarters of a century, the Kiwanis Club is ready to let someone else worry about polishing the armour and sweeping the stables at Toronto’s Casa Loma. It has agreed to hand over operations of the city-owned tourist attraction in return for more than $1.4-million for the paintings, furniture and other artifacts and trademarks it will leave behind.